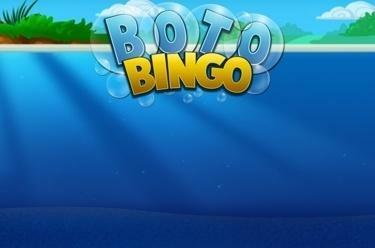 Play Boto Bingo online for free now! A sea full of winnings awaits you! In this online bingo variant, huge quantities of Twists will wash up onto shore for you in no time at all courtesy of Boto the friendly dolphin, with four bingo cards, 30 regular balls and up to 13 extra balls. With a little luck the winnings will really get flowing! 6 winning patterns, a highly lucrative bonus game and a thrilling jackpot will get your gaming account spouting up! Your goal is to get the specified winning pattern on all 4 bingo cards! With your stakes you will get 30 bingo cards in the first round - you win if the numbers drawn form a pattern on your bingo balls. After the regular draw, you can purchase up to 13 extra balls to further increase your winnings! If you manage to get the bonus winning pattern on a card, you enter the bonus game with Boto the friendly dolphin. Your goal is now to collect water lilies in any order. The amount that is concealed under each water lily is recorded in the table in the top right. When you reveal an amount for the third time in the bonus game, you win that amount. If all numbers on an active bingo card are marked in a single go during a regular draw (you achieve ‘Bingo’ with the first 30 balls that are drawn), you win the current jackpot amount.